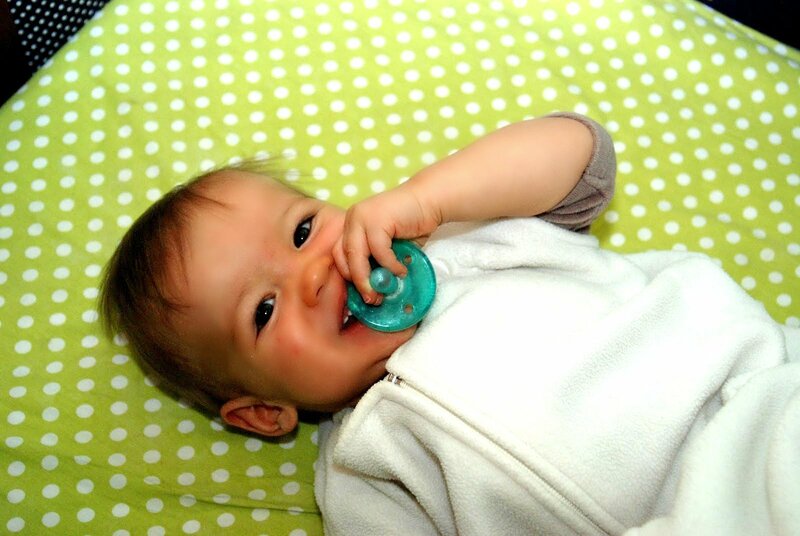 Dexter has never really demanded a pacifier, but he likes to play with it around bedtime. Considering how he prefers to bite on it, I don’t think we’ll have any pacifier addictions in the near future. and of course he is using his left hand.